iPhone 8 vs iPhone 7s: Why You Should Choose iPhone 8? Up to June, sources of leaks as of iPhone 8 specs all point to 3 upcoming new models of iPhone 2017, aka the higher-end iPhone 8 and 2 other regular s-named updates, iPhone 7s and iPhone 7s Plus. Just like the previous iPhone updates we've passed by, iPhones upgrading to its s-version can mean competent enough upgrades to warrant user's upgrade - more often than not, these upgrades happens quietly under the surface, but making typical improvements to the cell phone's overall performance. That makes it even harder to make the decision between iPhone 8 vs iPhone 7s. So far as we've come through the WWDC 2017 with its stunningly new iOS 11, and all the upgrades seem to persuade us to believe a perfect fit for iOS 11 and iPhone 8 with regard to some impressive hardware-designs - especially the edge-to-edge, bezel-less glass panels without a physical Touch ID, which will need the enriched Control Panel to assist. Yet if Apple followed its convention not to remould iPhone 7s from iPhone 7 too much, there must be some less-perfections, or at least redundancies in the collaboration between iPhone 7s and iOS 11.
iPhone 8 vs iPhone 7s, which one should you buy? End your hesitation right here and take a look at the 5 reasons why iPhone 8 is much better than iPhone 7s (iPhone 7s Plus). iPhone 8 vs. Galaxy S8: Get Price-Off Galaxy S8 or New iPhone 8? iPhone 8 vs. iPhone 7: Get Big Price-cut iPhone 7 or New iPhone 8? AR to the Next Stage? In the wake of 2016's worldwide hit of Pokemon Go, Augmented Reality games are now on the bandwagon of iPhone 8's design with a high-end vertical dual-lens rear camera with OIS support for both wide-angle photo-taking and telephotos, a leak confirmed by Bloomberg. Compared to the first introduction of horizontal dual-lens arrangement on iPhone 7 Plus in 2016, which achieved early success in adding depth-of-field effects to telephotographs, the new idea to position the lens vertically points to be the base for iOS 11's main upgrades of ARKit release that calls for massive AR APPs development. However, though we've got the first glance of AR with iPhone 6s and iPhone 7, their identical successor iPhone 7s and iPhone 7s Plus are going to be no match for iPhone 8 in the AR support. Rumors scattered since October of 2016 have gone quite disarray, but one thing shared by them all is the new panel design on iPhone 8: bezel-less device body with stainless frame sandwiched by 2 glass panels, made by either OLED or AMOLED plates no yet confirmed. That makes iPhone 8 kind of going back to the very classical iPhone 4/4s design, indeed a rep of changes after 3 years of identical of iPhone 6/6s/7, and 7s hopefully. In fact, leaks from the Japanese website Mac Otakara released a set of iPhone 8/7s/7s Plus specifications, in their report, iPhone 8 could measure in at 144mm tall, 71mm wide, and 7.7mm thick, compared to the iPhone 7s dimensions of 138.3 x 67.1 x 7.1mm. As a token in case, iPhone 8 and iPhone 7s go horse and horse in their resistance against water and dust, a technical upgrade from IP67 on iPhone 7 to IP68 on iPhone 8 and iPhone 7s enable the 2 new models to go under the water b	y 1.5m for 30 minutes no problem, a leading technology so far that protects iPhone against careless water submersions. The new design also ensures them to go dust-free, technically lengthening the life span of the mobile device. As a rumored features staring probably before iPhone 6s, wireless charging is finally landing on iPhone 8, and probably iPhone 7s to enable users charge their new handsets across the room with possibly longer-range than before. But latest reports suggest the finally adopted charging technology is not as exciting as expected - It's going to be either be Qi or Airfuel protocols for iPhone 8, which require physical contact or short range proximity between the charging pad and iPhone 8/iPhone 7s, impressively less convenient than the Energous technology that enables users to go hands-free. iPhone 8 vs iPhone 7s Prices - Worth the mark up? Judging from the previous pricing strategies, iPhone 7s hopefully will follow the old path of iPhone 7's ladder-like price gaps starting from $ 649 for a 32GB model. However, the high-end AMOLED iPhone 8, backed-up by its revolutionary design, is rumored to start from $999, the highest cost ever. Change is now for the shining new iPhone 8 featuring both AR-enabled dual-lens rear cameras and edge-to-edge panel design that usher in a new era of iPhone appearance. Though some may argue the brand new attempt may turn out a product with endless flaws, we just can't wait to meet the exciting new iPhone 8. ● 1-click tailor-make ringtone at a desired length & set for iPhone. iPhone 8 or Google Pixel 2? Hard question if pixels is your serious concern. iPhone 8 sports a 5.8-inch screen, while the Pixel phone going with 5.6-inch 18:9 , take a look at the specs to make your decision. 2 Transfer Old iPhone to iPhone 8? 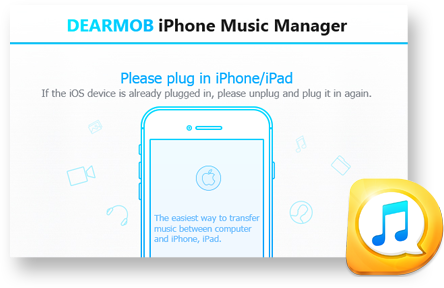 Is it difficult to transfer iPhone to iPhone 8 including all music, photos, contacts without much hassle? Here introduces top 5 ways to transfer old iPhone to new iPhone 8 & backup your important data, especially photos and music either with a cable or wirelessly. How to transfer photos from iPhone 8 to Mac has more than one method to achieve. Which is the fastest way 2017 to transfer all photos, albums without quality loss? Take a look at 2017 top 6 ways to transfer photos from iPhone to Mac to find out the answer.